The digitally restored and remastered version of Walt Disney's Bedknobs and Broomsticks was released less than a week ago. Although this film is a classic, this was my first time viewing it. 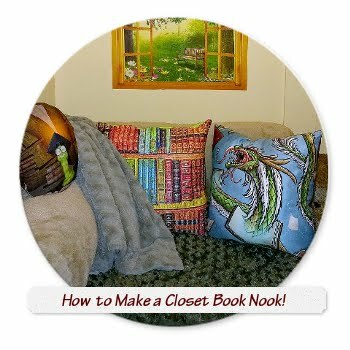 I was anxious to see it because I am a huge fan of Mary Norton's The Borrowers book series and the movie Bedknobs and Broomsticks is based on a children's book she had authored by the same name. I was hoping that the premise of an apprentice witch, played by Angela Lansbury, who can make a bed travel to anywhere one wishes would be enough to interest my 5-1/2yr old son, but alas he is convinced that live action musicals are long and boring. Although I do think my son would have enjoyed this movie, there were some concepts that are a little tough for a kindergartner to grasp. The whole point of the movie was to attempt to end the existing war with the Nazis. 1) There were several occasions when circumstances demanded that humans magically be turned into bunny rabbits. I do believe that such a trick would impress a 5yr old easily. 2) There was lots of physical comedy, which included quite a bit of tooshie (or hiney) kicking. 3) There was a portion of the movie in which the live actors interacted with animated characters and surroundings. 4) Although the black cat did not have any lines, it was very expressive and played a key role in enhancing the comedic effects of several scenes throughout the film. 5) I found the music to be very lively and it offered quite a bit of variety. 6) My two favorite scenes for both comedy and special effects were when Miss Price first made an attempt at controlling inanimate objects with magic and then towards the end of the movie when she has mastered the spell. 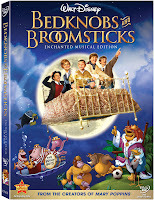 I do think that anyone who enjoys Mary Poppins would also very much enjoy Bedknobs and Broomsticks: Enchanted Musical Edition. You can find it now both locally and online at the Disney Store and other retailers of children's DVDs.